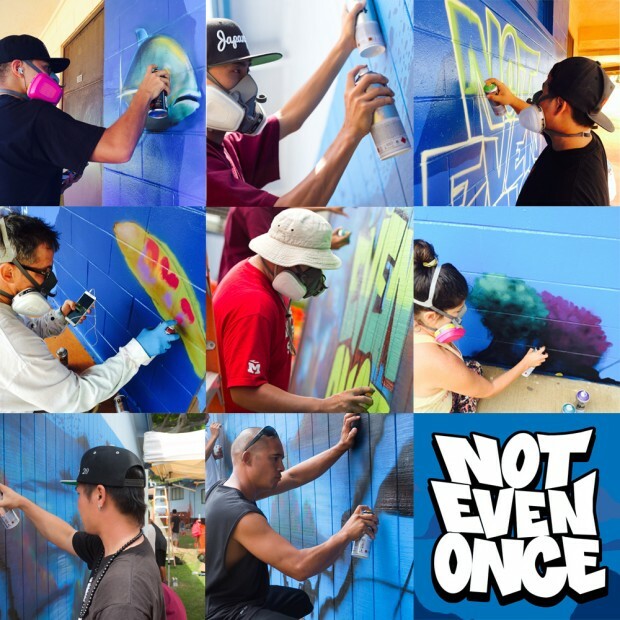 Big Mahalo Nui to Illest & all our sponsors for donating towards the fall 2014 Not Even Once Mural Project (NEOMP) in partnership with Hawaii Meth Project. 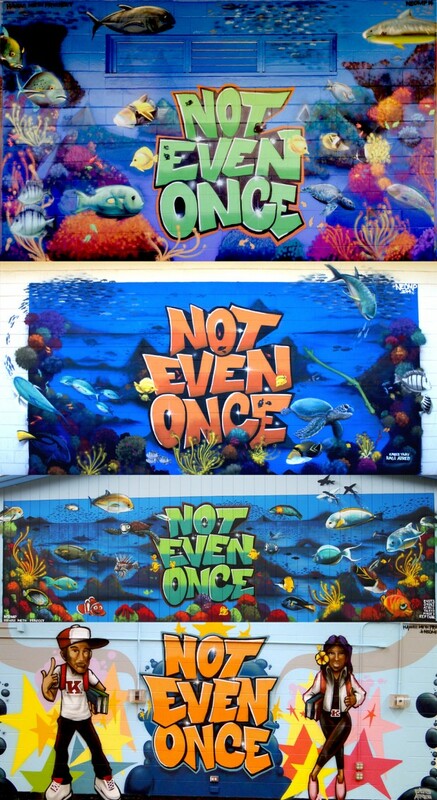 This mural project is a statewide anti-meth campaign within the island chain of Hawai’i. We painted 4 murals at 4 high schools this season and the response from the community, student and school staff was positive and amazing! Our mural project consisted of 3 youths, Jason Medeiros, Trysen Kaneshige and Akira Woods who I have been mentoring for years. The mentoring process covers art as well as sharing organizational skills towards planning projects such as NEOMP. Also on the tour was muralist Ras One, East3, Dr. Aranzazu Ascunce, Rep Tank and Joe Baxtor who added great value and creativity to the tour. 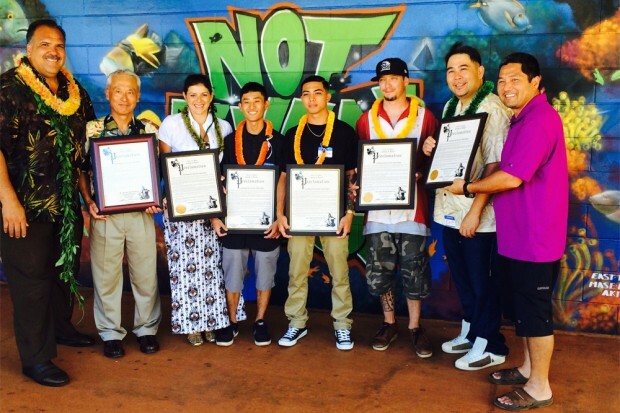 This fall we received a Proclamation from Mayor Bernard Carvahlo from the island of Kauai. This proclamation is to declare August 19th of every year anti-meth day and also commemorates the NEOMP for all its work. Currently we are planning our mural tour for Spring of 2015 and are in search of supporters. Please contact info@east-3.com if you are interested in knowing more about this project. 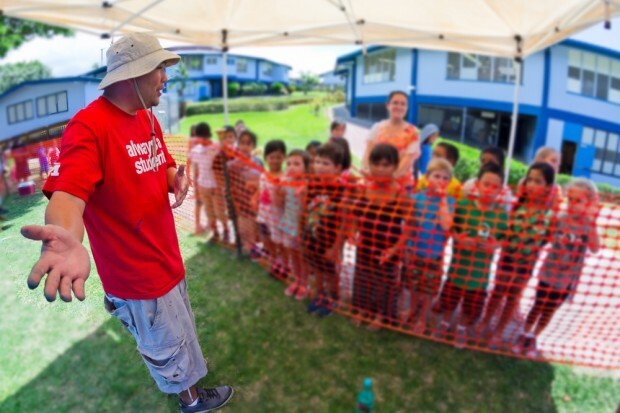 Mahalo Nui to Hawaii Meth Project & Floorox Hawaii for all your support and Aloha! 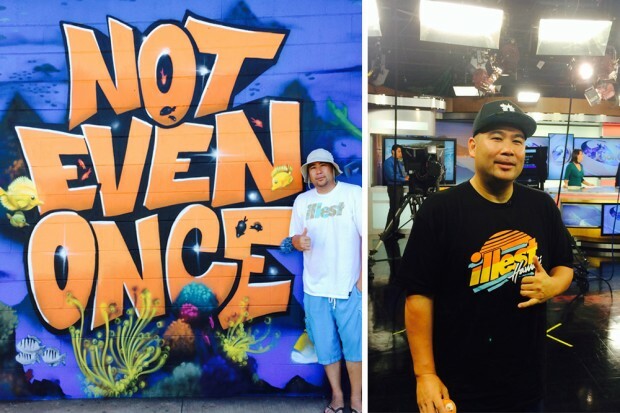 The Illest Brand is very supportive and truly has a passion for the youth of Hawai’i.